Behind the frozen Minnehaha falls. Close to the Mississippi River in Minneapolis, the Minnehaha creek drops 53 feet off limestone bluffs creating one of Minnesota's tallest waterfalls. 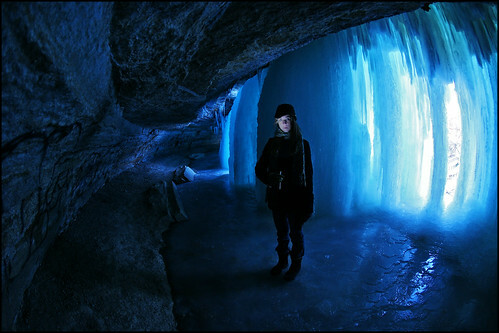 In the winter, the water freezes and you can walk behind a totally amazing wall of cascading ice.